Fitness adventure for every Phaze of life! Phazes studio in Hurricane Utah has a variety of programs offered at their studio including Zumba, Pilates and Yoga. But perhaps the most exciting program of all is the 4 Phaze and Gold Circuits. This is the program that Phazes is based on and the reason for the name "Phazes". Phazes is "a fitness adventure for EVERY Phaze of life!" There technically is not a once size fits all kind of exercise program that can push elite athletes while assisting those with difficulty with exercise to ease into a fitness program. Have you ever gone to a fitness class designed for those crazy push me till I puke kind of athletes - gotten discouraged because you couldn't keep up - so never came back? Or the opposite? Have you ever been someone super fit that went to try a class designed for someone that has difficulty with exercise and been frustrated that you aren't getting what you need? The 4 Phaze circuit is the solution to being able to workout with your best buddy no matter what their fitness level. So come in with your friend that is the Iron man athlete or your friend that uses a cane to walk and get your workout YOU need! The workout is the same for ONE week. The next week it changes. This allows you to learn how to do things correctly, master it and then push it. Then we switch it up to keep it exciting and to bring in "muscle confusion" getting you better results. Why no equipment? To be fair, we do have SOME equipment. Free weights, TRX, Stability ball, Push up and Dip Tower, step ups, mats, jump ropes... etc... Just the stuff you probably have in your own home. When you work with a trainer watching your form - you get better results than you do when you rely on a machine. You use more muscle groups and get results better and faster. 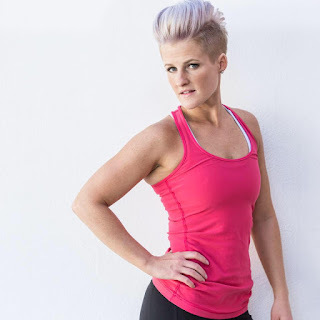 As a personal trainer Michelle Ennis, the creator of Phazes, used to go to her clients homes and use only what they had available to assist them to better health. Most personal trainers you hire to come to you don't lug big heavy pieces of equipment around. (I would say NONE do, but There just MIGHT be some crazy nut out there that does). The only personal trainers that use machines work in Big box gyms where it is encouraged so you develope a reliance on the machines and therefore a gym membership once you can no longer afford the personal trainer. No machines at Phazes = Better workout for YOU! Do I have to pay more for the trainer? NO! This is the beauty of the 4 Phaze Circuit. It really is quality GROUP personal training. we keep group sizes under 12 people so the trainer can keep an eye on everyone and assist them. Our price for a membership includes that trainer! PLUS Our members get FREE fitness assessments every month to track their results! What about those of us that HATE working out with "gym rats"? 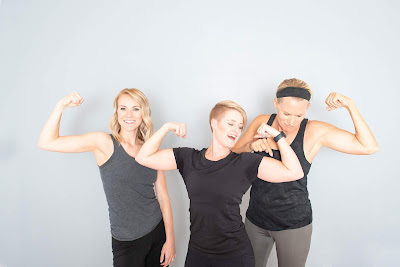 You know who they are - the buff people that jump rope, do pull-ups, one armed pushups, and have ran multiple marathons and throw weights around. At Phazes - we LOVE them! we encourage the self proclaimed "meatheads" and exercise junkies to try out the 4 Phaze circuit and see if we can challenge you. YES there is a place for YOU too! The GOLD circuit is the "safe" place. It is the same exercises as the 4 Phaze circuit but we take that time to focus ONLY on those that have difficulty with exercise. It's gentler, easier and low impact. It is the perfect place to start if you have never exercised before, are recovering from injury, have Fibromyalgia, arthritis, etc... this is YOUR time! Have you tried it yet? Your first visit to Phazes is ALWAYS FREE! Come on in!